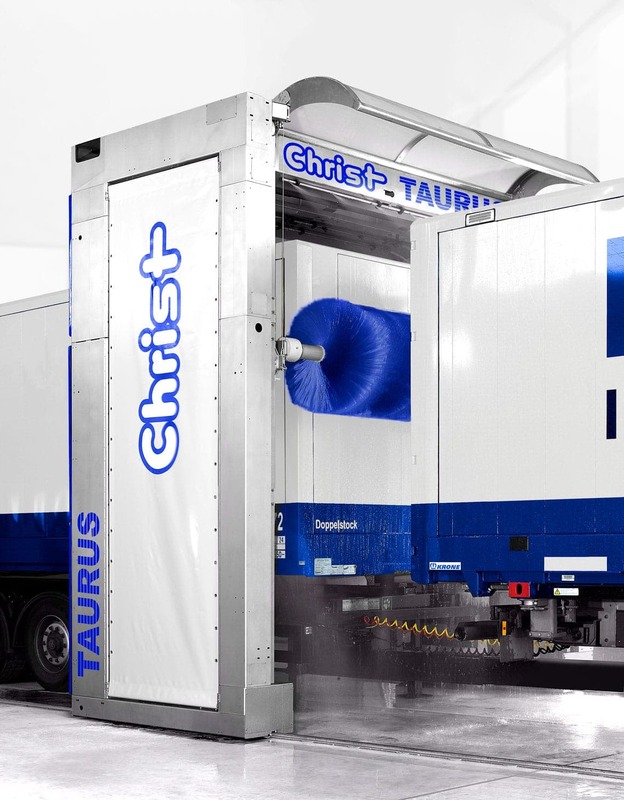 The TAURUS unit type was developed especially for carrier, industrial and disposal companies, as well as commercial vehicle wash units. Thanks to this unit type's wide range of accessories, no requirement is left unfulfilled. 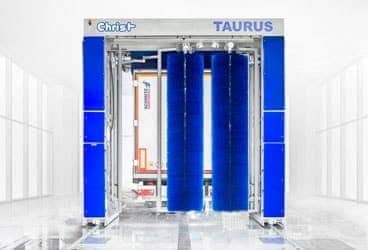 The logically-built machine equipmentb and the drive units that have been tried and tested thousands of times around the world from Christ are the central pillar of this wash unit design. 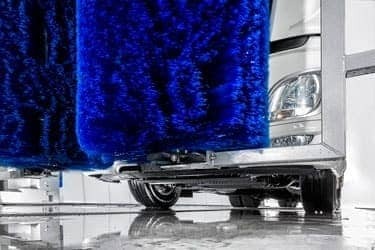 The wash brushes are controlled electronically (PLC); the brush contact pressure is regulated, which therefore guarantees a contour following and gentle vehicle wash, as well as ensuring that even the most difficult vehicle contours are washed gently and effectively. 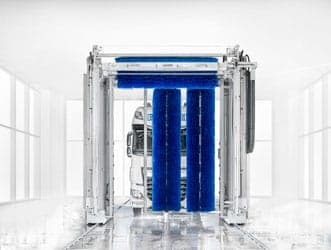 Frequency-controlled traction drives guarantee that the installation starts and stops gently, which cares for the traction drives and the tracks. With motion speeds of between 6 and 18 m/min, extremely short wash times can be achieved. 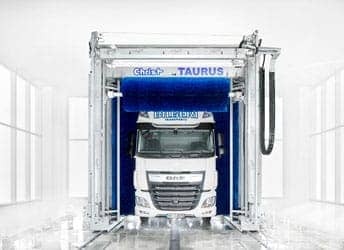 In addition to the standard additional programs that are available, such as "Windscreen mirror", "Loading ramp protection" or "Interspace wash", we also offer a wide range of special washing programs. These include silo vehicles and tankers, material or disposal vehicles. 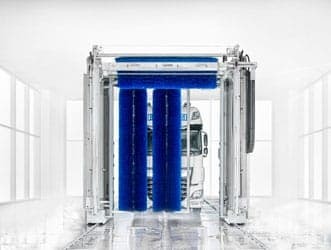 The double brush bearings ensure that even difficult vehicle contours such as those on tankers, silo or special vehicles are washed with care. 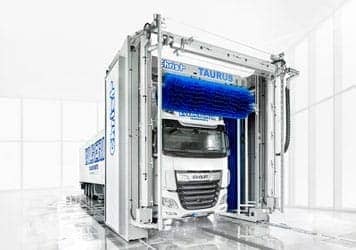 This also ensures that the pallet boxes and the underride guard are cleaned. We have the right financing model for you! Equally important is a tailor-made financing model that meets your special requirements. Products and services with guaranteed quality and safety! In addition to our innovative products, we also offer the highest level of service for the installation, commissioning, maintenance and repair of our systems. 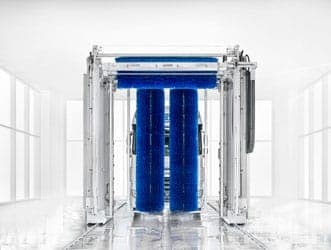 We ensure a fast supply of wearing parts and spare parts through professional spare parts management as well as a networked cooperation of all responsible departments and authorities. A long service life and low maintenance designs are the main features of our TAURUS commercial vehicle wash units. The torsion- resistant portal design in conjunction with tracks made of rolled steel solid materials guarantee maximum smoothness and cleaning quality. The internal pipework in the spray systems are made of stainless steel as standard. Our special cable conveyor is made of aluminium and is designed with stable cable carriages. The supply lines for current and water are placed in the guides so that they are easy to maintain. Hall girders with a span length of up to 6 metres can therefore be bridged without problems. Our switchboard plant has a double casing and is integrated into the roll-over side piece so that it is water tight (IP65). The front access doors enable direct access to the control system even in narrow wash halls and protect the technology perfectly. Thanks to our comprehensive range of accessories such as chemical pre-wash arches, high pressure units and brush systems for underbody, the washing technology can be adapted to your individual requirements. 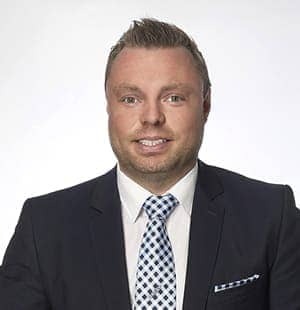 "Selling successfully means selling your enthusiasm"